Most guests spend approximately 4 hours at the park. Kings Dominion is no longer available. Your family will have a memorable experience when you give them a day of fun in the sun at the Kings Dominion theme park in Virginia. This popular attraction brings your favorite characters from television to life. At King Dominion, you will enjoy a range of thrill rides. 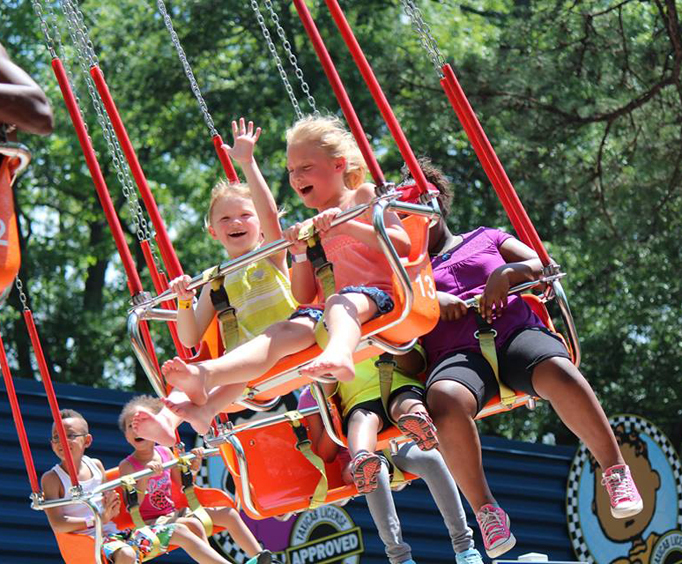 There are also a wide variety of family friendly rides that everyone can enjoy together, from kickbacks from yesterday to some of Kings Dominion's own rides. The Kids will have a blast at Nickelodeon Central, filled with pint-sized rides for the youngest guests with the themes of Nickelodeon shows. On hot summer days, head over to the WaterWorks water attraction at Kings Dominion to splash around on over twenty acres of water rides, pools, and more. After you've worked up an appetite, enjoy a picnic lunch in one of the shaded pavilions in the park area at the Kings Dominion. Or you can enjoy treats from over thirty options for restaurants and snack shacks located throughout the park. Before you leave, pick up some souvenirs and mementos of your great day at Kings Dominion at the many gift shops and souvenir shops on-site. 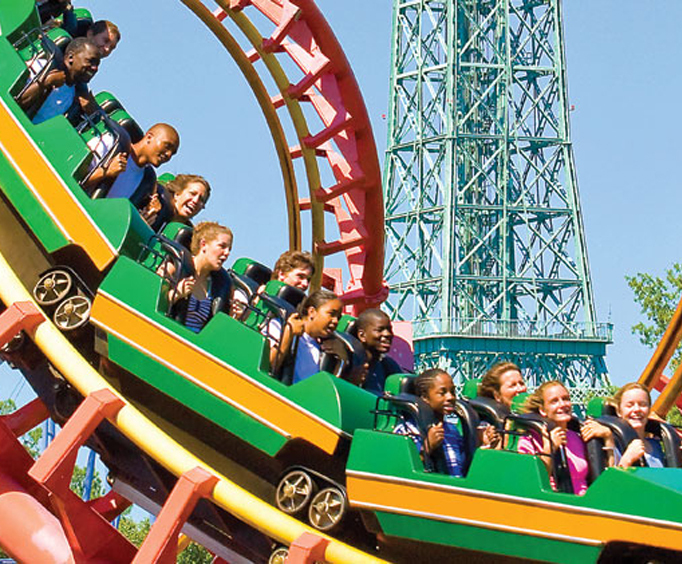 Kings Dominion also regularly holds special events that not only entertain you but that also service the community, including career days, choral festivals, and more. 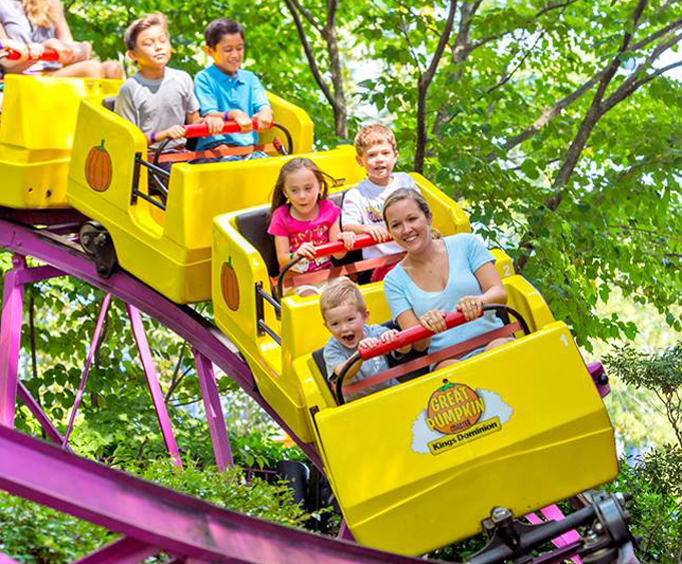 Have a great trip to Virginia when you treat your family to a fun time at Kings Dominion! Kings dominion was very enjoyable for the whole family. We had a great time. Lots of rides and shows suitable for everyone. Had fun really like to go back we did not get to ride everything we wanted because it was so crowed and hot.